Martin Luther King "I Have a Dream" Speech - Motivate Amaze Be GREAT: The Motivation and Inspiration for Self-Improvement you need! We bring to you an amazing speech from one of the greatest civil rights leader of all time, Martin Luther King Jr. This speech is widely know as the "I Have a Dream Speech", it was delivered by King on August 28, 1963. The speech was a part of the "March on Washington for Jobs and Freedom" and it took place in front of the Lincoln Memorial and it was considered the highlight of this huge political rally for human rights. This is one of the greatest speech man has ever written. Matter of fact, partial written, as you can see in the full video of the speech, in the first part Martin Luther King reads, but for the final part he skips looking at the sheet and speaks from his soul. That's the part of the speech we will highlighted, the part that reflects a dream a man had, in a time of despair where racism was a huge social problem. 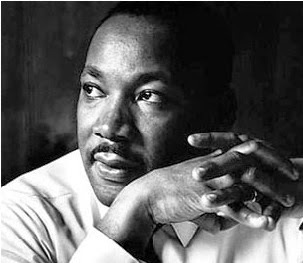 Martin Luther King Jr. dreamed one day people of different race and color could do and share the same things. Once a man dreamed and that dream decades after became a reality. Enjoy the final part of the speech in the video below. We've added the transcription of the most significant words of the speech, you can read them after the video, or listen and read your choice. that my four little children will one day live in a nation where they will not be judged by the color of their skin but by the content of their character. that one day down in Alabama, with its vicious racists, with its governor having his lips dripping with the words of interposition and nullification -- one day right there in Alabama little black boys and black girls will be able to join hands with little white boys and white girls as sisters and brothers. that one day every valley shall be exalted, and every hill and mountain shall be made low, the rough places will be made plain, and the crooked places will be made straight, and the glory of the Lord shall be revealed and all flesh shall see it together. that I go back to the South with. And you? Do you have a dream? What are your dreams? Let's make them a reality!